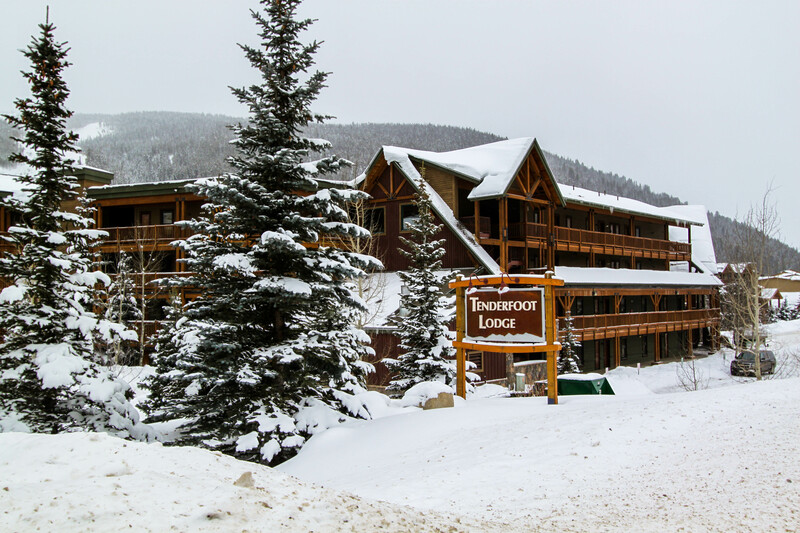 Tenderfoot Lodge is located just off of Highway 6 on the far north side of the Mountain House Base Area. You’re just a four-minute walk away from the lifts and a short shuttle ride from both River Run Village and Lakeside Village. 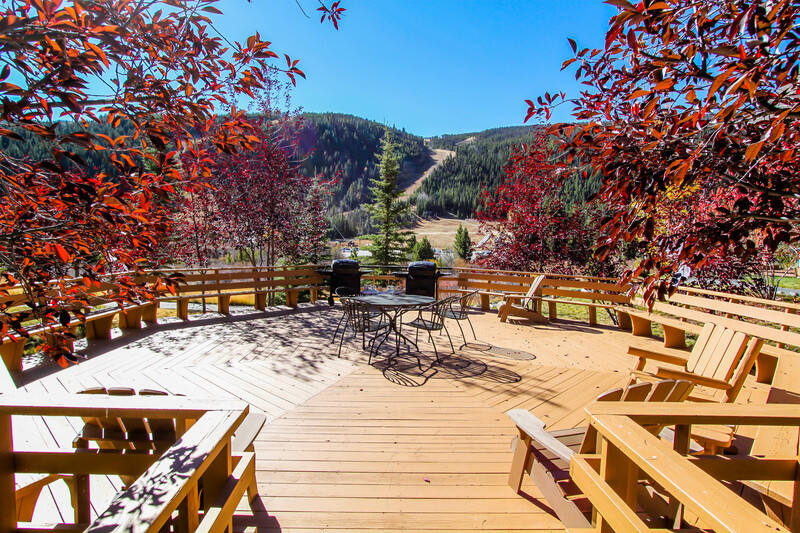 The premier feature of this complex are the two outdoor hot tubs on the spacious and beautiful outdoor deck that faces south so you overlook Snake River and have beautiful ski slope views. There are pedestrian bridges that lead guests across Snake River to the lifts. And the bike path is just west of Tenderfoot Lodge and runs throughout the resort and all of Summit County. You’re less than a four-minute walk away from the lifts at the Mountain House Base Area as well as the Last Lift Bar, Mountain House Food Court and Ski School. 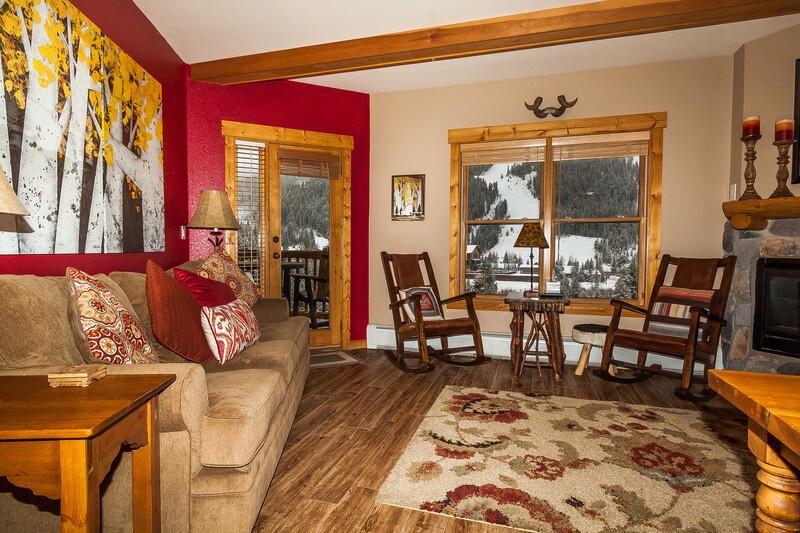 Located between River Run Village and Lakeside Village, you’re less than a mile from both areas where you can enjoy skiing, snowboarding, tubing, mountain biking, hiking, gondola rides, ice skating, hockey, canoeing and paddleboating. Both areas feature many restaurants and shops as well. An eight-minute walk east will bring you to Gateway Lodge that houses Haywood Cafe, Black Diamond Pizzeria, Serenity Spa & Salon and a small grocery and liquor store. The bike path runs along the west side of the complex next door, Hidden River Lodge, and leads guests throughout the entire resort and Summit County. 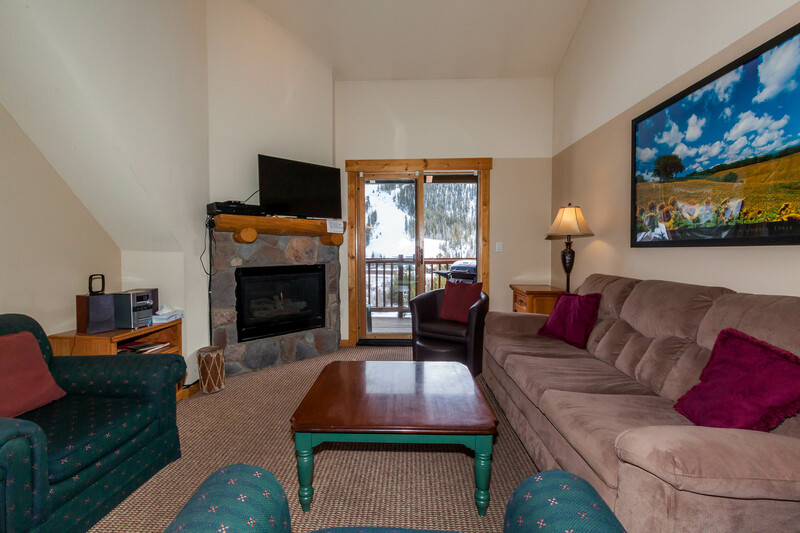 Easy access to Highway 6 where guests can head to shops and restaurants at Mountain View Plaza or east to Dillon, Silverthorne and Breckenridge. 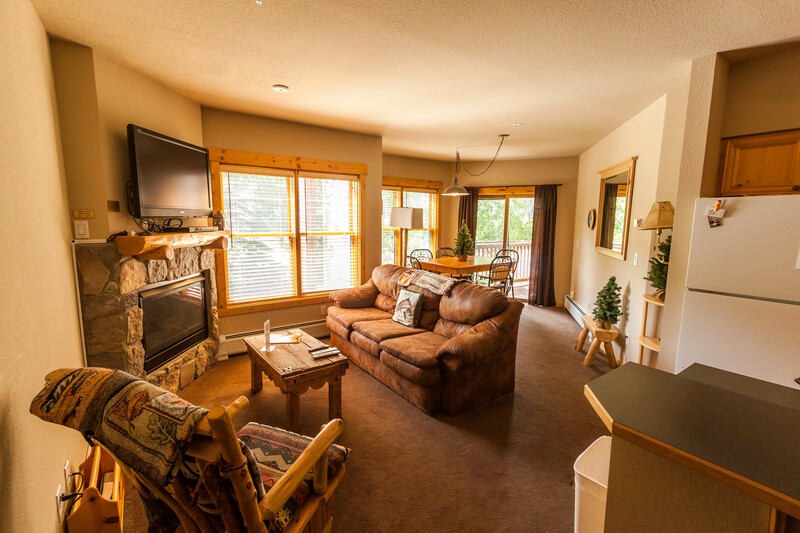 Features a private balcony with beautiful views of the slopes and Snake River. Vaulted ceilings throughout. Walk to the lifts in the Mountain House Base Area. Private balcony with beautiful views of ski slopes. Short walk to lifts in Mountain House Base Area. Private laundry. Features gorgeous slope views. Enjoy the private grill on the balcony. There's an updated kitchen and bathrooms, and a king bed in the master suite. Private laundry. Walk to the lifts or take advantage of the nearby shuttle.